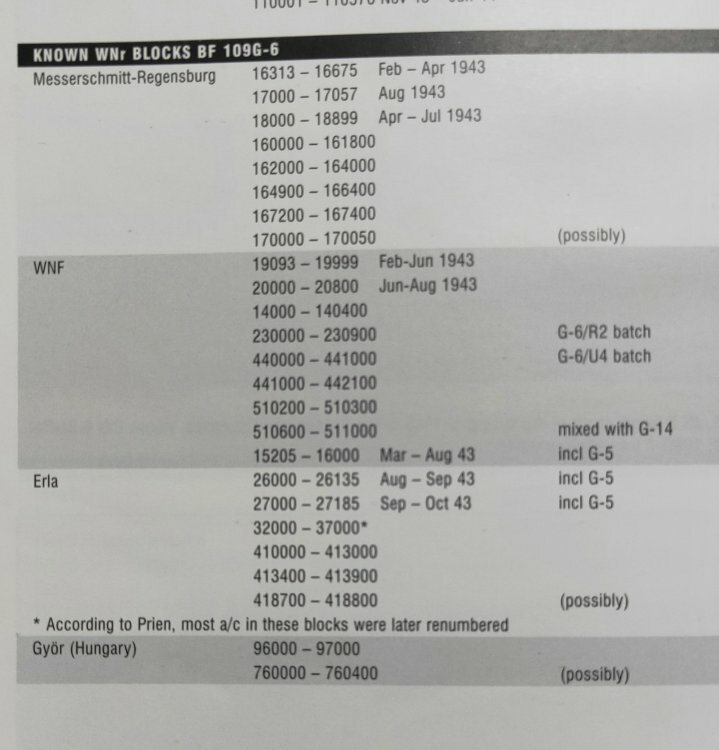 Any source for Bf 109 block numbers? Building an old kit with wheels that would have to make it a very early G6. Don't have a W.Nr for it, and don't want to make one up that is too far from the truth. Anybody know of a place with 109 types by block numbers, or something similar? How are you going to camo? This will decide the approximate Werk Nummer range, as the different early G-6 Manufacturers utilised dissimilar camouflage patterns. 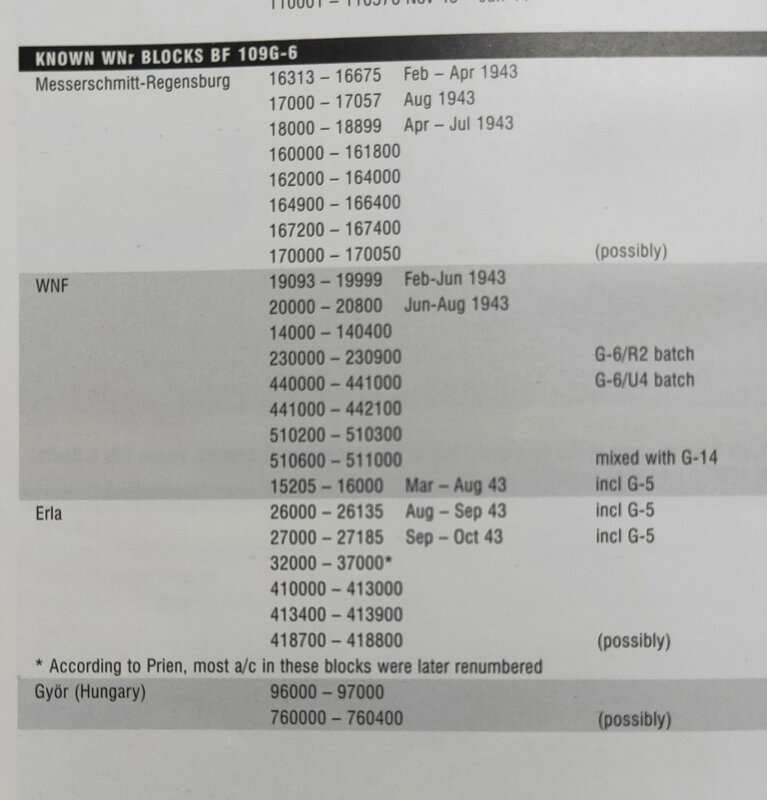 From: "Modeller's Data file #10, SAM publications 2007"
The last line in WNF section is actually Erla production. Trautloft (then later Lutzov) flew a late WNF G-4 that was upgraded to G-6 standard, but kept the early wheels. 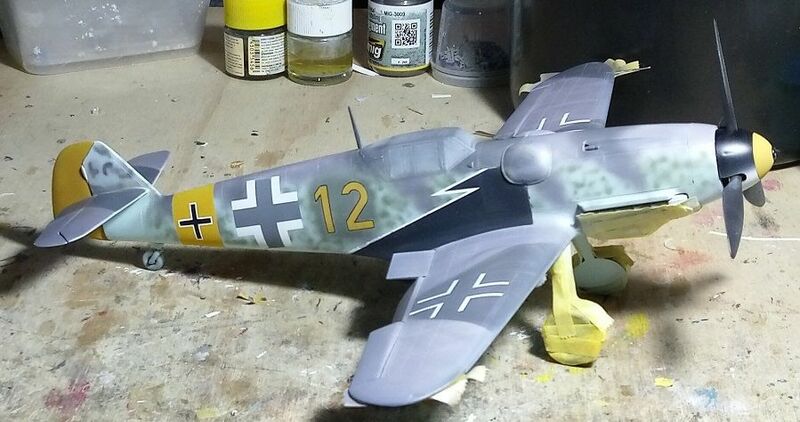 This would be perfect considering the resemblance to the original box art... Eagle Cals has it as an option on one of their 1/32nd scale sheets. G-4 and G-6 Gustavs coincided within the WNF 19093-19999* Werknummern range. 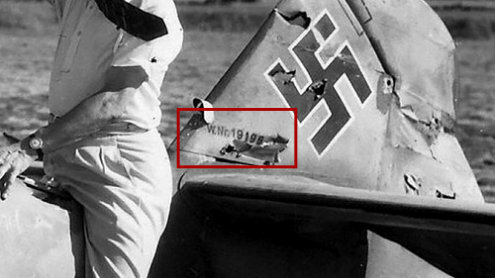 Several sources state "19456" for Trautloft's mount. Well... that's something else to figure out. The profile I'm using doesn't have anything camo-specific to either Erla or Regensburg about it. And the earliest set of serials is for MTT. And mine has to be from the earliest set of serials as only a few hundred were completed with the earlier style hub for the main wheels. Got a good paint guide for the early MTT machines? I'm gonna go look at the Marc Andre Haldimann site and see if I can find something useful. Since it's not going to be the Trautloff/Luetzow G-6, please disregard my previous post. A crash course in masks for me.